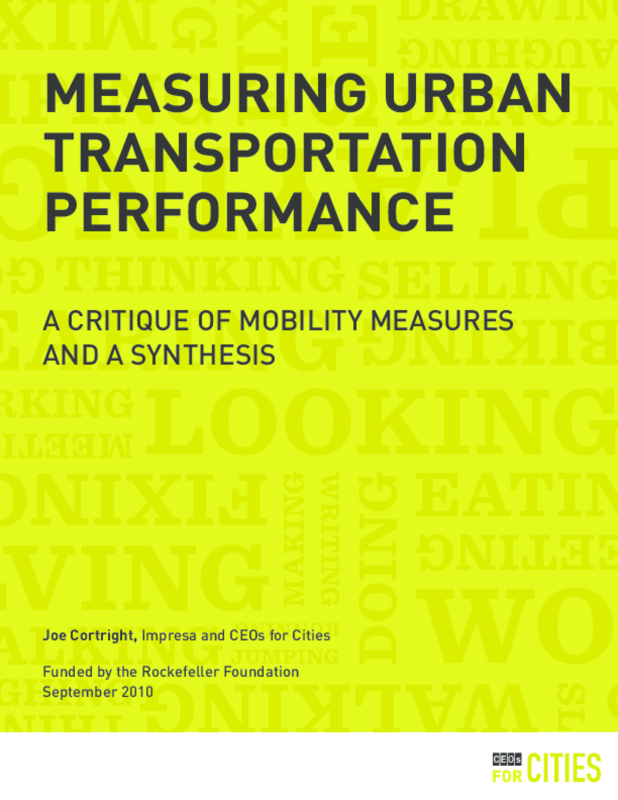 Examines the flaws of current measures of urban transportation performance. Suggests new metrics that include accessibility; land use, travel distance, and mode variations; and better data on speeds and patterns in an open, multidisciplinary process. Copyright 2010 CEOs for CITIES.